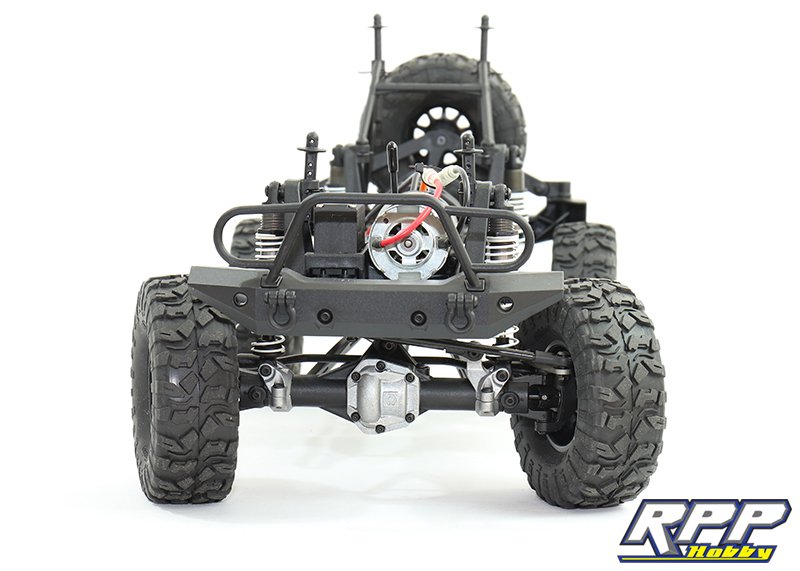 Are you in the market for a new scale R/C truck? 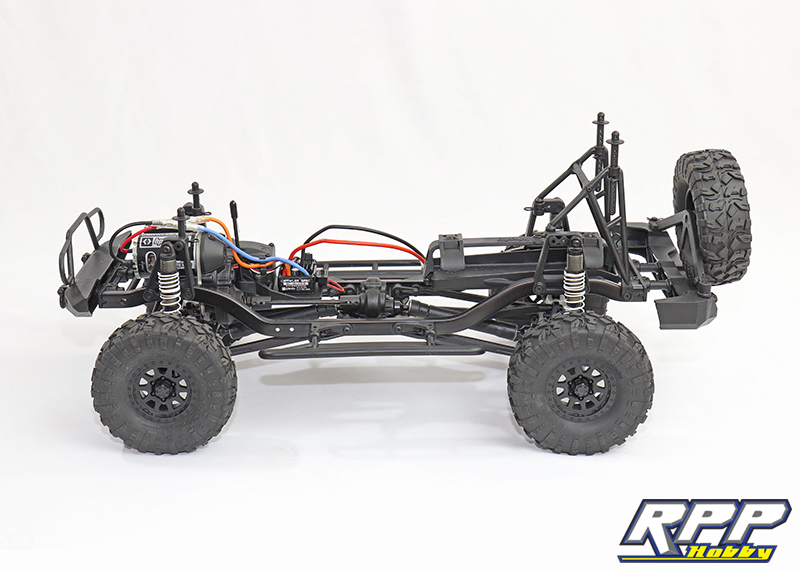 A vehicle that is truly “ready to run” right out of the box? 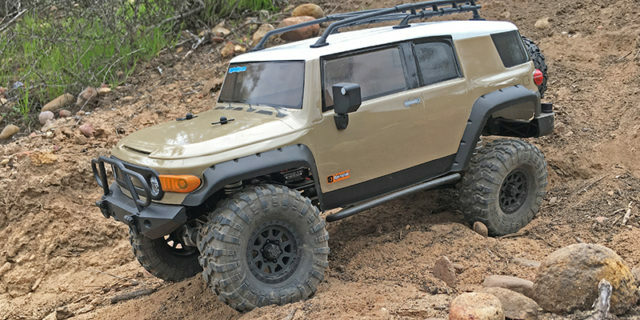 Are you a Toyota FJ Cruiser fan too? Then we have the R/C vehicle for you! 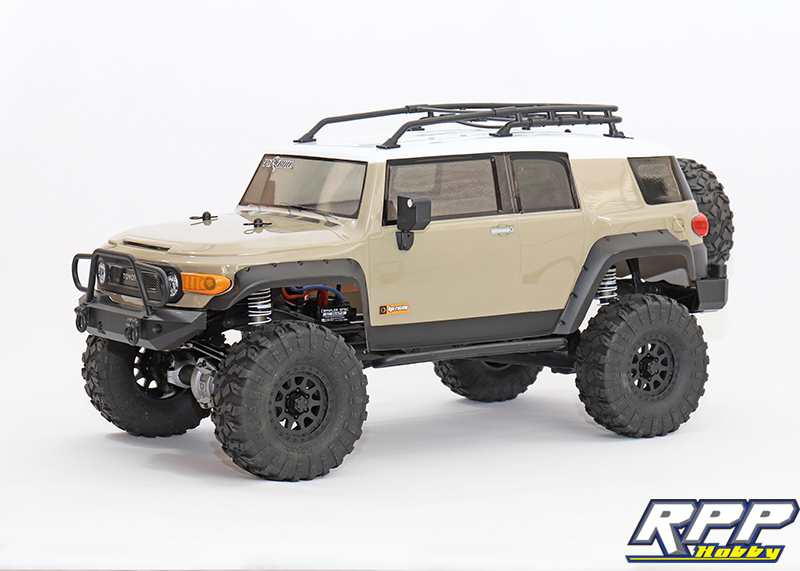 HPI Racing’s Venture RTR is a scale R/C car that is truly RTR right out of the box and features a very scale Lexan Toyota FJ Cruiser body. 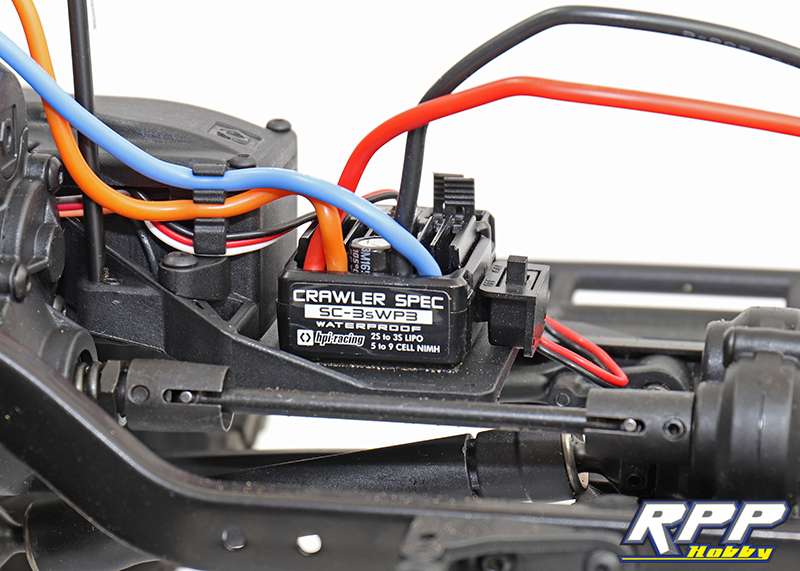 We decided it was time to add one of these little FJ’s to our R/C quiver. We will go on record and say right now we are super impressed with every aspect of this truck, from fit and finish to looks and performance. 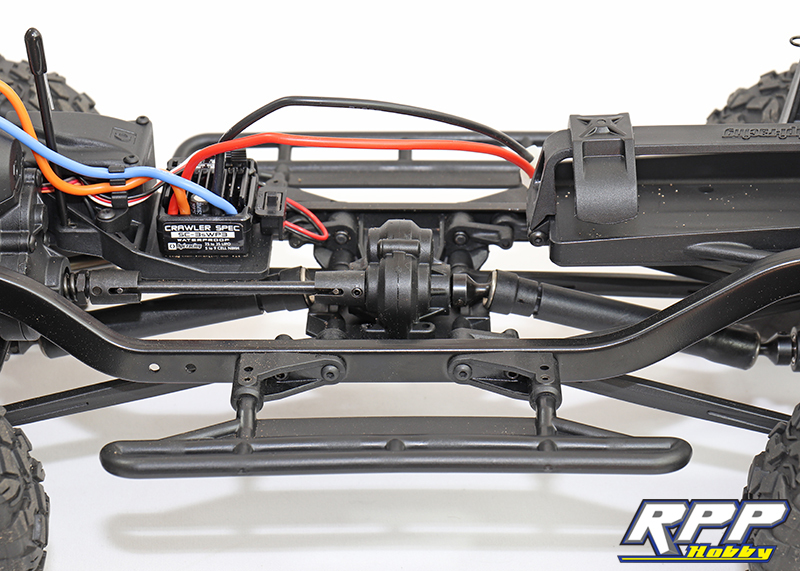 HPI delivered big features in a reasonably priced package. They even supply you with a wall charger for the included 2000mah NiMh battery, as well as four AA batteries for the radio. Let’s dive in and take a closer look. 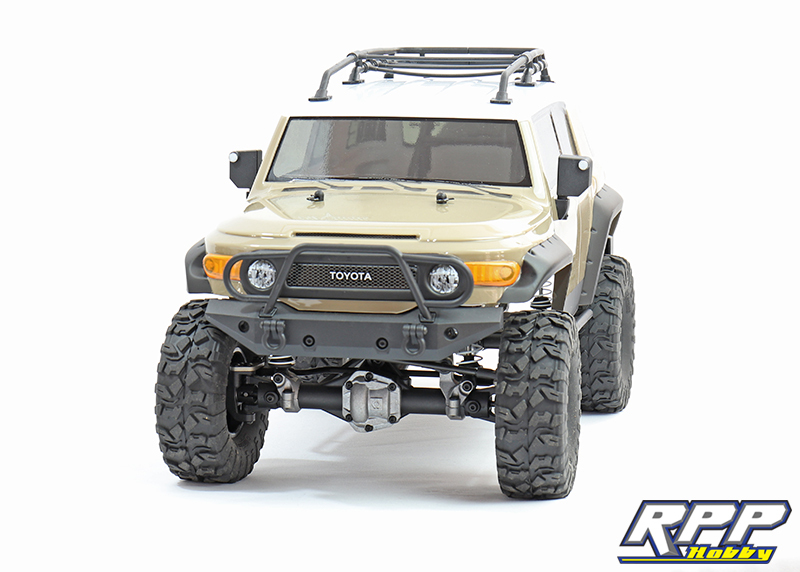 First thing we noticed is a spot on scale Toyota FJ Lexan body and exterior accessories. 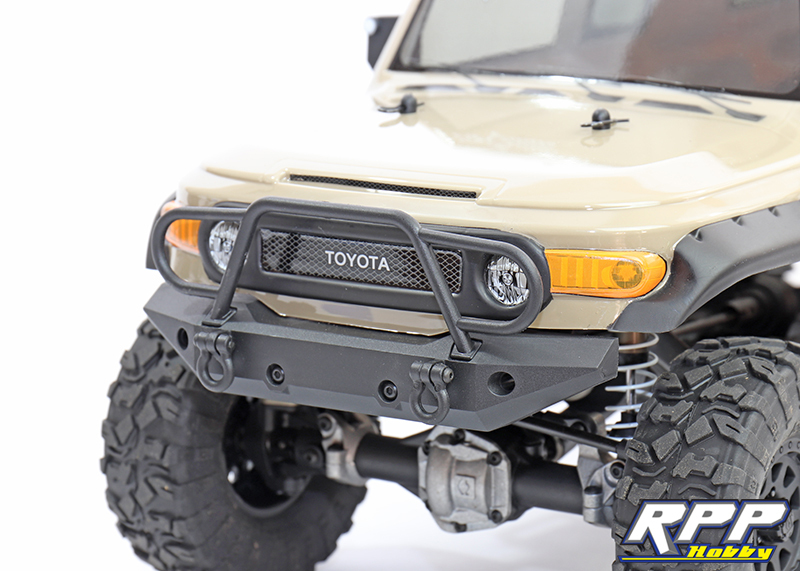 We really like the molded plastic side view mirrors, roof rack, bumpers, and rocker guards because they add depth to the body for a more realistic look. Showing off the front bumper, brush guard and included D-rings. Notice HPI blacked out the fender flares and grill too, which is a nice touch. The included wheels are glue on faux beadlock wheels with plastic hubs to cover the wheel nuts. 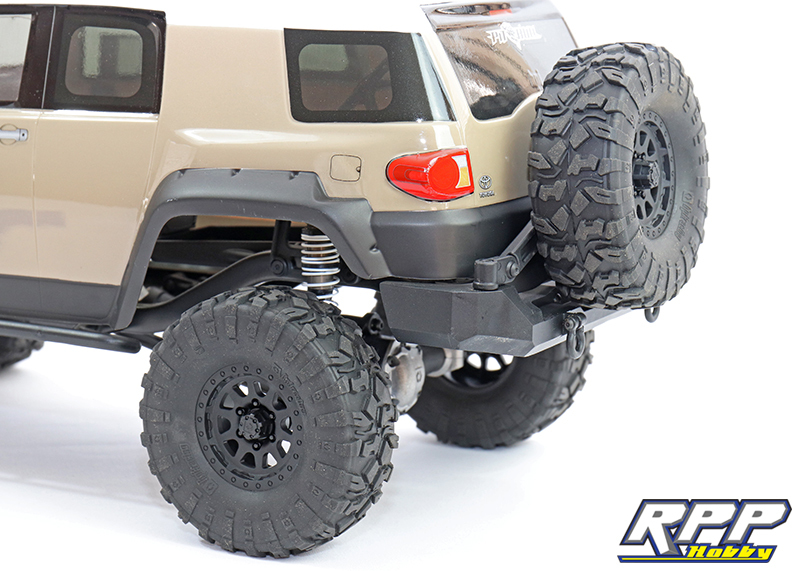 The tires have a semi-scale tread pattern and the overall height fits the proportions of the body nicely. 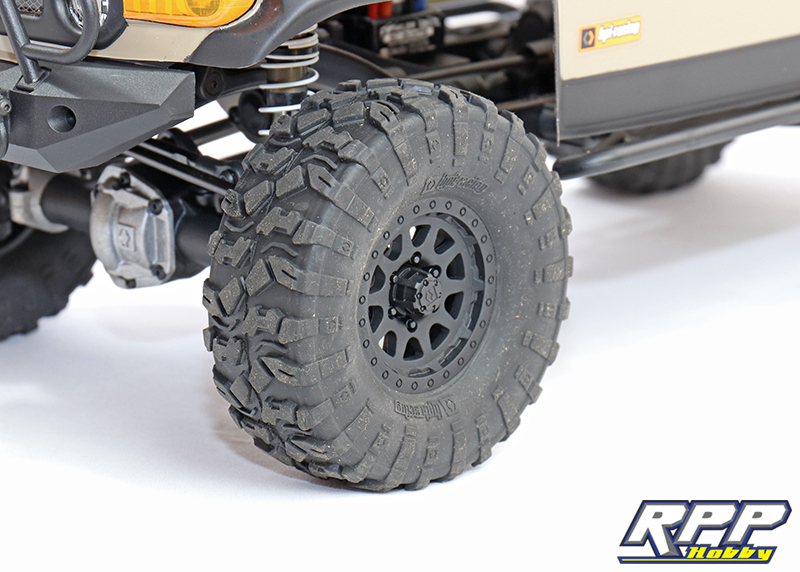 HPI does include a functional spare tire out back that is mounted to a functional swing out tire carrier. Notice you get a pair of D-rings for the rear bumper too. A body off shot reveals the steel C-channel frame and the inner working of the FJ. 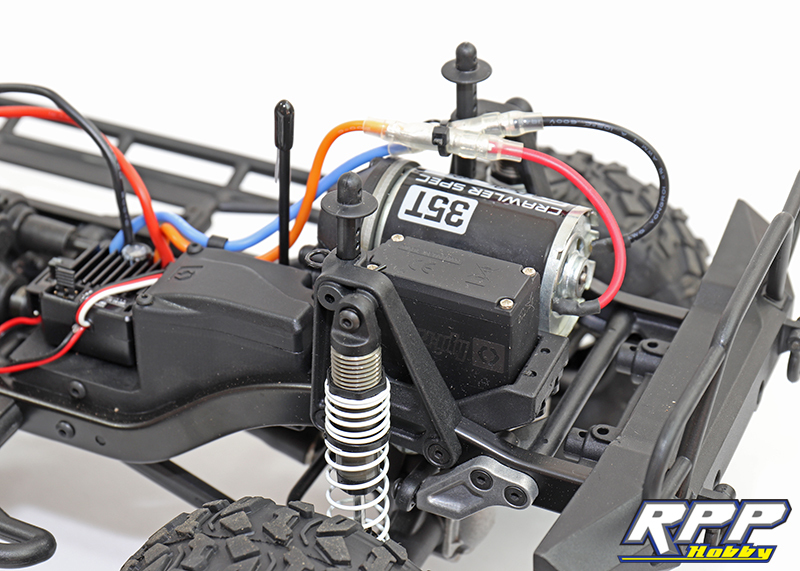 The included 35t brushed motor is mounted up front with the chassis mounted steering servo and receiver box. Here you can see the divorced transfer case is mounted to the center skid plate. A photo of the 3S Lipo capable, waterproof ESC. Notice the front steering tie rod is located behind the front axle for a little extra ground clearance. Like we mentioned earlier this truck feels very balanced out on the trail, whether ascending or descending obstacles. The threaded shocks and dual stage springs are tuned perfectly for the stock truck’s weight. We were also impressed by the combination of torque and wheel speed, even with the stock 2000mah NiMh battery. Overall this a a great truck in a very reasonable price range! That wraps us this HPI Venture overview. As always thanks again for checking the RPP Hobby blog!